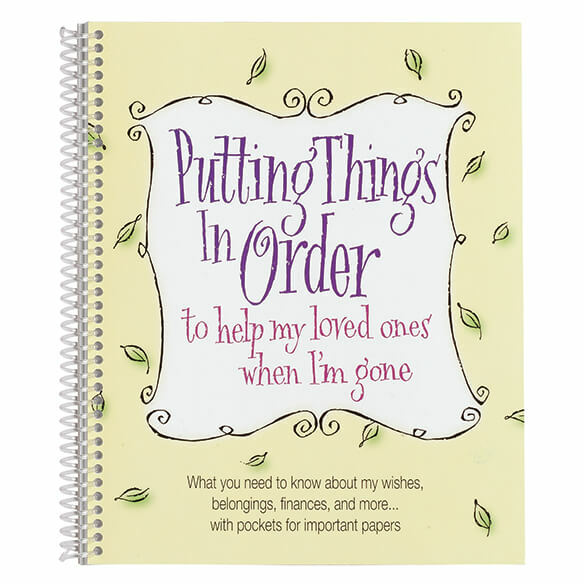 "Putting Things in Order" Organizer makes "putting things in order" easy for you—making things easier for loved ones when you're gone. 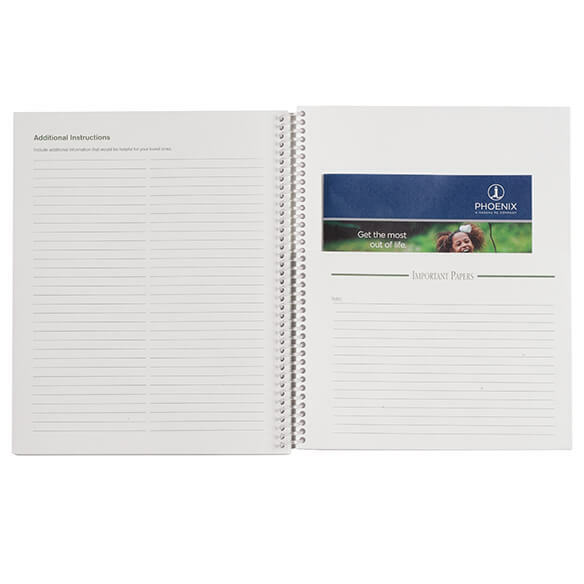 Complete with a pocket for important papers in back, it provides space to give family and friends guidance about your wishes, belongings, finances and more. 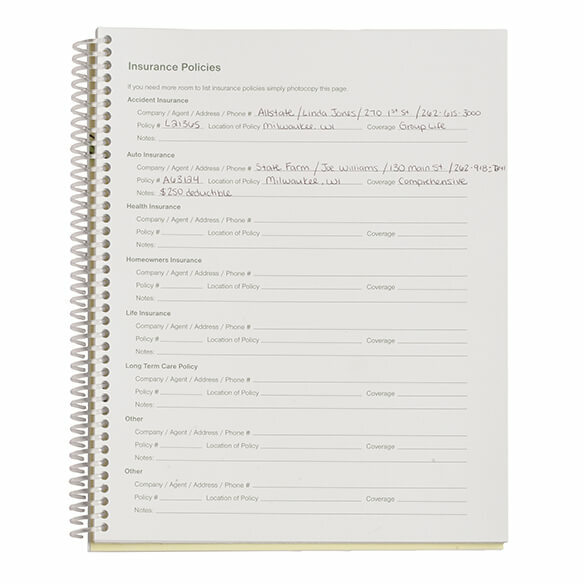 Pre-printed with prompts and lined space for you to write, the organizer's helpful topics include where personal papers are kept, websites & online records, important contacts, health history, will and estate planning, personal property, overview of assets, along with debt & banking information. Space for a personal message lets you add a personal note with all the practical information ... lending a touch of comfort and love. Preparation. We’re elderly and ill. Being a single person, I need to have all my important information in an accessible format for my sister, who would handle my affairs if something was to happen to me. This seemed like it would be an easy way to get started with that for her.